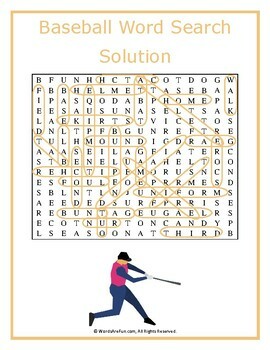 A word search puzzle featuring words associated with the baseball. 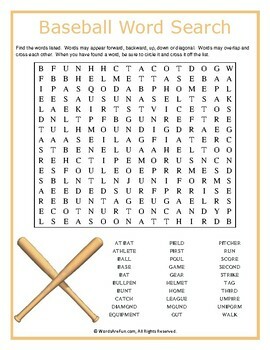 This word search will make you want to buy a ticket to the next game! Use this sheet as part of your teaching curriculum, a treat for early finishers or just for fun. Word List: At Bat, Athlete, Ball, Base, Bat, Bullpen, Bunt, Catch, Diamond, Equipment, Field, First, Foul, Game, Gear, Helmet, Home, League, Mound, Out, Pitcher, Run, Score, Second, Strike, Tag, Third, Umpire, Uniform, Walk.